Spanish Government approved the submission to the Parliament of the Bill that amends the Spanish Intellectual Property Law last Friday 14 February. This Bill modifies Spanish Consolidated Text of the Intellectual Property Law of 1996 and the Spanish Civil Procedural Law 1/2000. The amendment aims three main issues: first, to modify and adapt the concept of private copying to the digital environment and its compensation; second, to regulate the supervision and functioning of the collecting societies; and third, to combat piracy, particularly by hampering the rights infringement facilitated by digital networks. Regarding the first issue, the cases, where it could be considered private copying and its compensation, differ. The concept of private copying is limited, affecting only the copies made for private use without any comercial purposes of CDs and DVSs previously acquired, radio and television recordings for its subsequent viewing or hearing; the right of quotation becomes widespread in all educational areas, research and scientific illustration. Also, the use of small fragments without quoting is permited and does not involve any compensation, but the use of larger fragments will require a fair compensation. The amendment adapts the quoting limit to content providers or internet search engines, sets editors the right of a fair compensation due to the use of fragments of their contents and establishes that the compensation for private copying will be charged to the General State Budgets. With regard to the second issue, the functioning of collecting societies and the mechanisms for monitoring them, with the goal of increasing the transparency, the amendment establishes a collection system of “single window” so the users will make the payments regarding intellectual property rights and it will be managed by a private entity, which all collecting societies have to participate in. 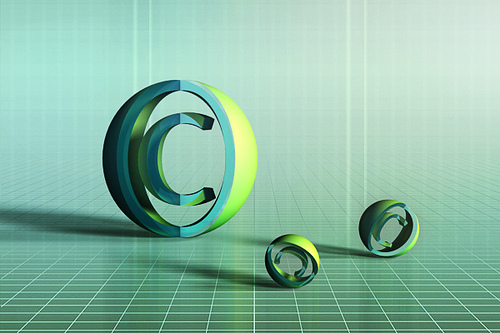 It also creates the Spanish Copyright Commission to reinforce the supervision of collective societies, with functions in: mediation, arbitration, fee setting, prosecution of infringements and imposition of sanctions. Finally, dealing with the third side of the matter, the amended law establishes with anti-piracy purposes that illegal contents hosted on web sites will be considered an IP infringement and it does likewise with those who knowingly facilitate indexed and classified access to illegal contents for third parties use. The infringement of this normative involves sanctions ranging from 30.000 to 300.000 Euros. Furthermore, interested parties will be allowed to act against advertisers and electronic payment platforms considered as intermediaries of illicit activities. Web sites that allow copyright infringements, and/or their main purpose consists of offering massively the location of illegal content, could be technically blocked up when they refuse to remove illicit contents, too. Lastly, the amendment extents the musical composition with words’ protection term from 50 to 70 years and it gives a better legal guarantee for “orphan works”.